The therapeutic application of hot stones has been used by cultures around the world for centuries, including the native cultures of North and South America, who believe in the application of hot river stones. In this session, the client rests on hot stones while the practitioner applies gentle and soothing circulatory strokes by hand and with hot stones. Aromatic essential oils can be added upon request. Not recommended for individuals with diabetes and or circulation problems. Reconnect deeply within yourself and follow your breath while your therapist applies this restorative technique. A deep tissue massage removes adhesions, realigns tissues deep within your muscles, and improves restrictions of movement. Recommended for very active individuals or those who are familiar with Swedish massage and looking to advance into the experience of deep tissue work. In this eclectic specialty, our therapists use a blend of different modalities and their personal imaginations to pamper you with a delightful, rejuvenating, personalized massage. Pressure can be very gentle, very deep, or a blend, depending on your preference and the therapist’s interpretation of what your muscles need. Each experience is deeply relaxing, unforgettable, and unique. Swedish: Gentle to firm pressure Immerse into a world of calmness with the soothing sensations of this popular technique. Recommended for first-timers and those looking for simple and lasting relaxation. Enjoy the sweetness of two different worlds with ninety minutes of total attention to your fitness and bodily needs. 30 to 40 minutes of advanced sport massage are followed by a deep tissue or Swedish massage for an experience that begins with rehabilitation and ends with relaxation. Suggested for fitness warriors and pro athletes, an advanced sports massage can speed up recovery after a workout or performance. This type of advanced massage will not be a completely relaxing experience, because there may be proprioceptive neuromuscular facilitation (PNF’s) and active myofascial release, but it is a greatly therapeutic approach. Our therapists will customize the session according to the needs of the athlete. This specialty massage is given by therapists who are trained and certified in Prenatal Care. A massage performed with a sensitivity to the needs of the expectant mother. Pressure may vary but will always be applied safely and knowledgeably, depending on the trimester and the expected type of delivery. Benefits of prenatal massage include reduction of swelling, pain and stress, lowered cortisol levels, improved circulation and increased flexibility and pliability of musculature and fascia. Let us help you deal with the anatomical changes that come with pregnancy, so that you can be as comfortable as possible during this special time. Benefits of postpartum massage include feelings of mental, emotional and physical reintegration, reduction of aches, realignment of tissues, an improvement in hormonal and circulatory balance, and an increased range of motion. These modalities have been practiced in Eastern cultures for centuries. They are based the theory of the flow of Qi, or “life energy.” In Traditional Chinese medicine and culture, Qi is thought to flow through the meridians, or pathways, of the body. These pathways are lined with tsubos, or pressure points. With the application of pressure, a range of movements, and stimulation of the tsubos, this bodywork encourages the flow of Qi, bringing balance into the meridians and reorienting the yin and yang of the recipient.These modalities are traditionally performed on a mat. If you’d prefer to use a table, please let us know when you are booking your appointment. Practiced in Thailand for centuries, Thai massage is based in Ayurveda and yoga. It is also known as Thai yoga or Thai therapy, depending in the lineage of the practice. Suggested for healthy and athletic individuals, Thai massage incorporates deep stretches and strong pressure. Japanese Technique based in the five elements and their meridians. This massage is soothing, calming, and recommended for anyone. Anti-aging and beauty preservative holistic treatment that rejuvenates the skin. 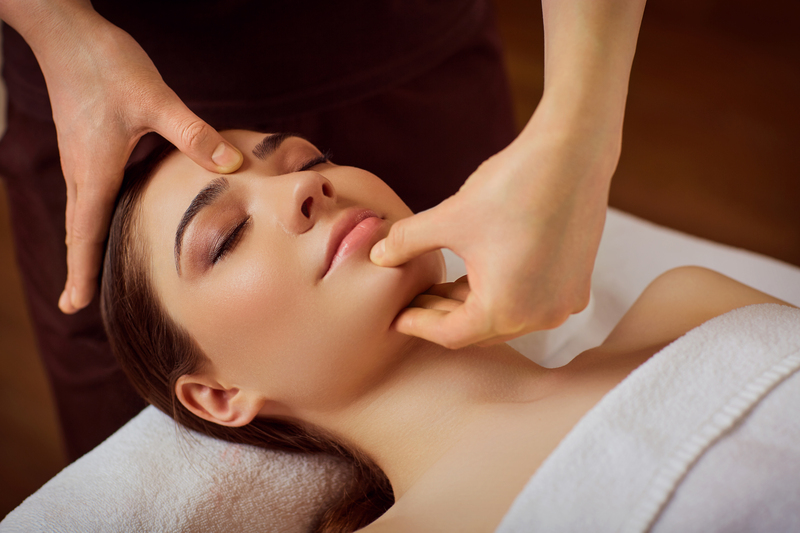 Delivering energy healing, improving blood circulation and skin tone, decreasing eye puffiness and softening expression lines, leaving you with a youthful glow from the first session. Performed with a sequence of healing, precise strokes based on the reiki concept and the application of a customized organic Japanese tonic and oil on your decollete and face induces favorable feelings of beauty, sensuality and relaxation. 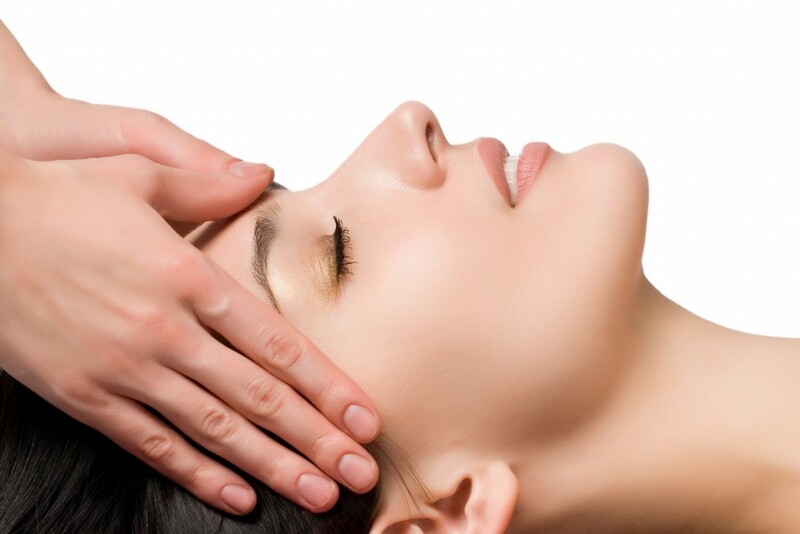 Using reiki principals this treatment focuses on the shoulders, neck and head areas where we accumulate most of the tension. Unblocking and stimulating energy it allows the body to release stress and promote its own healing. Adding the benefits of our unique aromatherapy blend, developed by a reiki Japanese master, it relieves migraine, headaches, insomnia, back pain and neck stiffness. It detoxes the body, increasing oxygen to the scalp and stimulating hair growth. Follow your breath while the therapist applies the restorative pressure and you will experience two dimensions, a sedative and uplifting state that you will not forget.